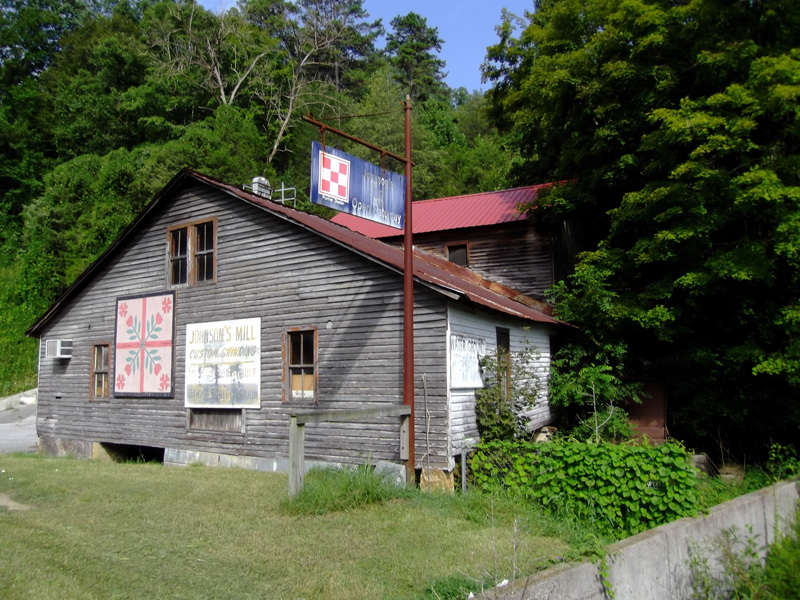 This is the historic and, apparently, closed Johnson’s Mill in Claiborne County TN. You can still see the wheel – that rusty thing on the right of the building. You’ll have to scroll down the page a bit. I know, I know, work is soooo tiring.